A Full Brother to Racing Post Trophy Gr1 Winner Kingsbarns also a full Brother to Egyptian Warrior Half Brother to Quartz Pathway & Gimli's Rock. Dam's 3rd foal. From the Danehill sire line. Dam raced 3 times for the Aga Khan winning once over 10 furlongs. 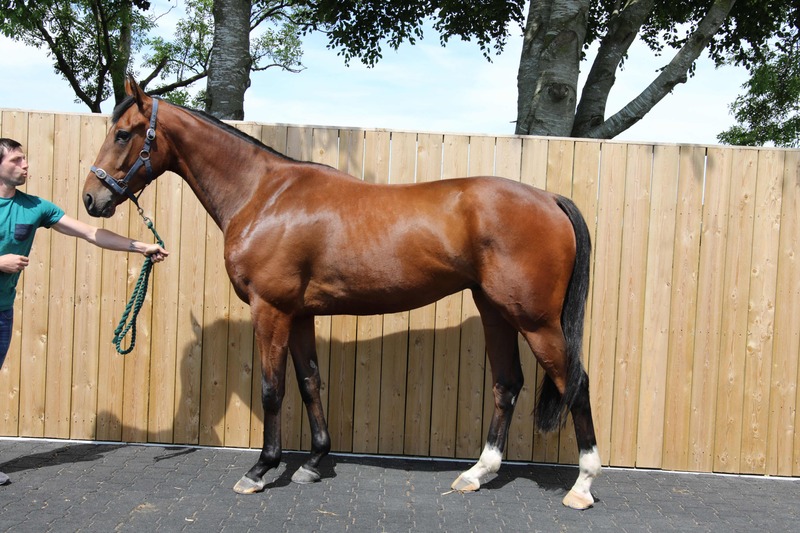 She is a half sister to 2 time race winner Thomas O'Malley and 4 time race winner Arya Tara who provided Joseph with his first pattern winner. Dam was unraced, dam of 9 previous foals, 9 runners 3 winners, from the family of Group 1 winner Fairy Footsteps. Cape Cross x Star Express. Home bred by Anne Marie O'Brien who bought the mare in-foal. 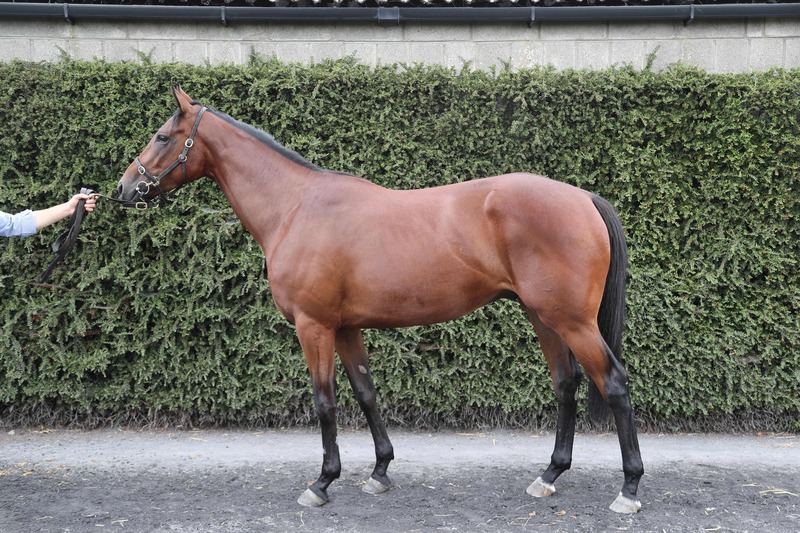 Dam a sister to 6 race winning horses, ex Ballydoyle horse. Dam's first foal. From the Green Desert and Miswaki sire lines. Dam ran 4 times winning one time over a mile on good to firm ground for Hamdan Al Maktoum. She is a half sister to 2 time race winner Marsool. He is a half brother to 6 winners. Dam ran 8 times on the flat and 1 time on the all weather from 7 to 10 furlongs. Dam's 3rd foal, from the family of Hadeer. From the Unfuwain sire line. Dam ran 5 times winning a Maiden over 6 furlongs for her only success. he is a half sister to 2 time winner Kitty Kiernan and 1 time winner Fernado Torres. Also half sister to Aspire, Eternal View, Lasting View and Sacrament. Dam of 1 winner from 1 runner and 3 foals of racing age, from the family of Soldier of Fortune. bought by Joseph at 2017 sales. He is a half brother to 8 times race winner Captain Ramius and 6 times race winner Munfallet. Has run 2 times on the flat over 10 furlongs on good ground over a left handed course. She is still a Maiden. Has run 4 times on the flat and 1 time on the all weather from 5 to 8 furlongs. On all types of ground. Acts on a right and left handed course. She has won on good to firm. the ground, has won on heavy. Acts on right and left handed courses. good to firm and soft ground. She has won on soft ground. Acts on right and left handed courses. Norton and to race placed Pocket Player. with cut in it acts best on a right handed course. He is still a Maiden. good to firm ground. she acts best on a right handed course. She has won on good ground. Has run 7 times on the flat and 1 time on the all weather from 5 to 6 furlongs on good and yielding ground. Acts best on left handed courses. Has won on heavy ground. Half Brother to Quartz Pathway & Gimli's Rock. Has run 1 time on the all weather and 12 times on the flat from 5 to 8 furlongs in most types of going. Acts best on a right handed course. She has won on yielding and soft ground. good to yielding ground on a right and left handed courses. He is still a Maiden. acts best on a right handed course.She has won on yielding to soft and good ground. on left handed courses. He is still a Maiden. and left handed courses. He is still a Maiden. Grandaughter of Salsabil's dam Flame of Tara. First foal of Dynaformer mare Dandyna who was a race winner at Fair Grounds Race Course in 2011.
handed course. She is still a Maiden. handed course. He has won on the heavy. good to yielding, soft and yielding ground. He is still a Maiden. Acts on right and left handed courses. standard ground. Acts on a left handed course. She is still a maiden. Lentenor are yet to make it to the racetrack. yielding ground on a right and left handed course. She is still a Maiden. course. She is still a Maiden. Has run 7 times on the flat from 7 to 9 furlongs on good, good to firm and good to yielding ground. Acts on a left and right handed track. She has won on good to firm. going. She is still a Maiden. Medal Of Honour - 11th May 2015 Chestnut Colt. yielding ground. Acts on a right or left handed courses. and left handed courses. Has won on yielding to soft ground. Mocambo is Unraced to date. Previously called Midnight Cowboy. and left handed courses. She is still a Maiden. going. On a right and left handed course. Has won on standard going. good to firm and yielding. She is still a Maiden. Acts on right and left handed courses. Sister to Group 1 Epsom Oaks winner Qualify & Shogun and a half sister to Satellite. good,soft and good to yielding. He acts on right handed and left handed courses. yielding ground has won on standard going and good ground, acts on right and left handed courses. right handed course. She has won on good ground. Has run 11 times on the Flat over 5.5 to 8 furlongs on most types of going on right and left handed courses. He has won on heavy going. good to firm ground. Acts on right and left handed courses.He is still a Maiden. ground. She is still a Maiden. Only run on left handed courses. Dam By Medaglia D'oro she was unraced and this is her first foal. on right and left handed courses. She is still a Maiden. date. from the family of Free Eagle. yielding. She has won on good ground. Acts best on right handed courses. and heavy ground on a right and left handed course. She is still a Maiden. Has run 3 times on the flat and 2 times on the all weather from 9 to 12 furlongs on a right handed course. has ran on good ground and yielding to soft. She is still a Maiden. left handed course. She is still a Maiden. and good to yielding ground. Acts on right and left handed courses. good and soft ground. Acts best on a left handed course. Has won on standard going. courses, has won on good & heavy ground. Has run 1 time on the flat over 7 furlongs on good to firm on a left handed course. She is still a Maiden. ground with cut in it and standard. He is still a Maiden. Acts best on a left handed course. Has had 1 run on the all weather and 3 times on the Flat from 8 to 12 furlongs. He is still a Maiden. Acts on a right or left handed course. Has run 18 times on the flat, from 7 to 9.5 furlongs. Acts best with cut in the ground. Has won on the soft. Acts best on a right handed course. Has run 8 times on the flat , from 5 to 6.5 furlongs. Acts best with cut in the ground, has won on heavy. Acts on right and left handed courses. Has run 1 time on the flat and 2 times on the all weather over 8 furlongs. Acts on yielding and standard going. He is still a Maiden. Only run on left handed courses. Has run 2 times on the flat, over 6 furlongs. Acts on good and soft ground. She has won on soft ground. Acts on right and left handed courses. Has run 8 times on the flat and 1 time on the all weather, from 8 to 14 furlongs. Acts on all going, She has won on good to firm, heavy and good to yielding. Acts best on a right handed course. Has run 8 times on the flat and 1 time on the all weather, from 6 to 11 furlongs. Acts best on good ground. She is still a Maiden. Acts best on a right handed course. Has run 8 times on the flat and 15 times on the all weather, from 7 to 8 furlongs, acts best on the all weather. Has won on standard and good to firm ground. Acts best on a left handed course. Has run 4 times on the flat, from 5 to 8.5 furlongs, has only run on ground with cut in it. He is still a Maiden. Acts best on a right handed course. Has run 10 times on the flat and 5 times on the all weather, from 5 to 12 furlongs. Acts on most types of ground has yet to encounter good to firm or heavy. She has won on good ground. Acts on right and left handed courses. Has run 3 times on the all weather from 5 to 6 furlongs. Has only run on a left handed course. Has won on the all weather. Has run 2 times on the flat and 1 time on the all weather, from 7 to 9 furlongs on good, standard and soft ground. He is still a Maiden. Acts best on a left handed course. Has run 5 times on the flat and 1 time on the all weather, from 7 to 8 furlongs. Acts on all types of ground. He has won on good ground. Acts best on a left handed course. Has run 3 times on the flat and 1 time on the all weather from 7 to 8 furlongs, acts best on soft ground. He is still a Maiden. Acts on right and left handed courses. Has run 2 times on the flat over 7 furlongs on soft and yielding ground. He is still a Maiden. Acts on right and left handed courses. 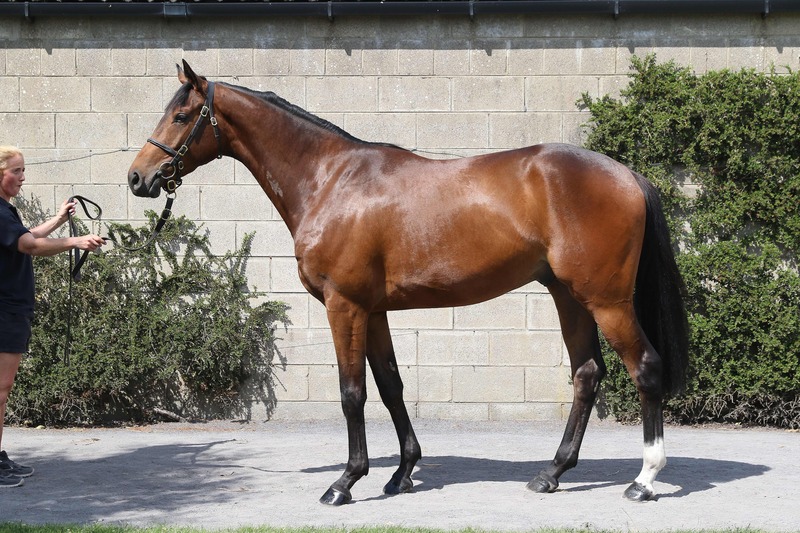 Half Sister to ex Ballydoyle Horse Triumphant. Has had 1 run on the flat over 8 furlongs on yielding ground and 3 times on the all weather from 7 to 8 furlongs. She is still a Maiden. Only run on left handed courses. Heaven's Angel - 25th April 2014 Bay Filly. Has run 6 times on the flat and 2 times on the all weather, from 5 to 7 furlongs. Acts best on soft to heavy. She has won on soft to heavy ground. Acts best on a left handed course. Has run 2 times on the flat and 2 times on the all weather from 7 to 8 furlongs on soft, standard and good to yielding. She is still a Maiden. Acts best on a left handed course. Has run 5 times on the flat from 7 to 8 furlongs. Acts on all going. She has won on yielding to soft and yielding, she is Joseph's star Filly. Acts best on a right handed course. Has run 2 times on the all weather from 7 to 8 furlongs. Still a Maiden. Has only run on a left handed course. Has run 9 times on the flat and 3 times on the all weather, from 6 to 12 furlongs. Acts best on good or good to yielding. He has won on good and good to yielding and the all weather. Acts on right and left handed courses. Fastnet Rock x Golden Dancer. Half brother to Along the Shore. Unraced to date. Has run 3 times on the flat and 1 time on the all weather, from 8.5 to 11 furlongs, has raced on standard, good to yielding or soft ground. He is still a Maiden. acts on right and left handed courses. Has run 3 times on the flat and 1 time on the all weather, from 5 to 6 furlongs. Acts best on any good or standard ground. He has won on good ground. Acts best on a left handed course. Has run 1 time on the flat over 8 furlongs on soft ground. She is still a Maiden. Only run on a left handed course. Master Shifu - 23rd Mar. 2014 Bay Colt. Has run 4 times on the flat, from 8 to 13 furlongs, has raced on good or yielding. He has won on good and yielding ground. Only run on a right handed course. Has run 3 times on the flat and 2 times on the all weather, from 8 to 9 Furlongs. Acts best with cut in the ground. She is still a Maiden. Acts best on a left handed course. Has run 7 times on the flat and 6 times on the all weather, from 7 to 12 furlongs. Acts best on standard or good to firm. He is still a Maiden. Acts on right and left handed courses. Has run 3 times on the flat and 1 time on the all weather, from 7 to 8 furlongs, run only on standard, good to firm and yielding. She is still a Maiden. Acts on right and left handed courses. Has run 3 times on the flat and 4 times on the all weather, from 5 to 10 furlongs. has only raced on standard or ground with cut in it. She is still a Maiden. Acts on right and left handed courses. Has run 7 times on the flat, 2 times on the all weather from 6 to 8 furlongs, has run on most types of ground except good to firm and soft. He is still a Maiden. Acts best on a right handed course. Has run 2 times on the all weather over 8 furlongs. Has only ever raced on a standard track and only left handed. She is still a Maiden. Has run 3 times on the flat and 2 times on the all weather from 7 to 8 furlongs. Acts on good ground. He is still a Maiden. Acts on right and left handed courses. Has run 5 times on the flat and 6 times on the all weather, from 7 to 12 furlongs. Acts on good or standard ground. She is still a Maiden. Acts on right and left handed courses. Has run 12 times on the flat and 16 times on the all weather, from 5 to 15 furlongs. Acts best on standard going. She has won on the all weather. Acts on right and left handed courses. Has run 3 times on the flat, from 6 to 8 furlongs, has only raced on good or good to yielding ground. She is still a Maiden. Acts on right and left handed courses. Has run 4 times on the flat and 5 times on the all weather, from 7 to 10 furlongs. Acts on all going. He is still a Maiden. Acts best on left handed courses. Shenzi - 9th May 2014 Bay Gelding . Has run 1 time on the flat and 6 times on the all weather, from 7 to 10.5 furlongs. Acts best on standard ground. She is still a Maiden. Only run on left handed courses. Has run 8 times on the flat and 18 times on the all weather, from 6 to 12 furlongs, acts best on the all weather. Has won on standard going. Acts on right and left handed courses. Has run 7 times on the flat and 7 times on the all weather, from 5 to 10.5 furlongs, acts best on the all weather. Has won on the all weather. Acts best on left handed courses. Has run 6 times on the flat and 2 times on the all weather, from 6 to 8 furlongs. Acts on good or good to yielding. She has won on good ground. Acts best on right handed courses. Has run 2 times on the flat and 7 times on the all weather, from 6 to 8 furlongs. Acts best on standard or good ground. He is still a Maiden. Acts best on left handed courses. Has run 3 times on the flat and 3 times on the all weather, from 7 to 8.5 furlongs, has only encountered ground with cut in it and standard. He is still a Maiden. Acts best on a left handed course. Has had 6 runs on the all weather, from 7 to 10.5 furlongs. She has won on standard going, she has only run on a left handed course. Has run 7 times on the Flat, 2 times on the all weather from 7 to 14 furlongs, acts on all going. Acts best on a right handed course. She is still a Maiden. Has had 1 run on the all weather over 8 furlongs. He is still a Maiden. Only run on a left handed course. Oasis Dream x Velvet Star. Has run 8 times on the flat and 2 times on the all weather and 4 times over hurdles from 8 to 16.5 furlongs. Acts on good to firm, yielding and standard going. On right and left handed courses. Has won on good to firm and yielding ground. Has run 3 times on the flat and 4 times over hurdles from 10 furlongs to 16 furlongs in heavy and good to yielding ground . He has won on good to yielding and heavy ground, he could be anything one to watch. Dual purpose. Has run 3 times in a National Hunt Flat race, 3 times over hurdles and 1 time on the flat from 14 to 20 furlongs in soft to heavy, good to yielding and yielding ground on a right and left handed course. He has won in soft to heavy ground. Has run 6 times on the flat, 1 time on the all weather and 4 times over hurdles from 7 to 20.5 furlongs, acts on most types of going has yet to encounter good to firm. Has won on good and good to yielding ground. Acts on right and left handed courses. Dual purpose. Has run 21 times on the flat and 1 time over hurdles from 6 to 17 furlongs, he has won on good & soft and good to soft going, he acts on right and left handed courses. Dual purpose. Has had 7 runs on the flat and 5 times on the all weather and 4 times over hurdles from 7 to 17 furlongs on good soft to heavy and yielding ground . Acts on right and left handed courses. Has won on standard, heavy and good ground. Dual purpose. has run 2 times in a National Hunt Flat race and 3 times on the flat from 9.5 to 16 furlongs in soft and heavy ground. Has won on heavy ground over a left handed course. Dual purpose. Has run 10 times on the flat, 1 time on the all weather and 8 times over hurdles, from 6 to 16.5 furlongs, acts best with cut in the ground. Has won on soft and yielding ground. Acts best on a right handed course.Dual purpose. Has run 8 times on the flat and 8 times on the all weather 1 time over hurdles, from 7 to 16 furlongs, acts on any going. Has won on soft and good to firm ground. Acts on right and left handed courses. Dual Purpose. Has run 12 times on the flat, 5 times on the all weather and 4 times hurdles from 6 to 17.5 furlongs, has run on most types of ground except soft. Has won on yielding ground. Acts best on a right handed course. Dual purpose. Has run 6 times on the flat and 14 times over hurdles from 7 to 20 furlongs, has ran on all types of going except for good to firm. He has won on all types of going. Acts on a right and left handed courses. Dual purpose. Has run 3 times on the flat and 10 times on the all weather and 1 time over hurdles, from 7 to 22.5 furlongs. She has won on standard going, she has only run on a left handed courses. Dual purpose. Has run 3 times in a National Hunt Flat race 3 times over hurdles and 1 time on the Flat from 12 to 21 furlongs on soft and heavy ground over a right and left handed courses. Has won on heavy ground. The Dual Purpose horses have their flat rating as (F.R.) all weather as (A.W.) and either (H) Hurdles or (C) Chase. Has run 16 times on the flat and 3 times on the all weather and 4 times over hurdles, from 7 to 20 furlongs. Acts best with cut in the ground, has won on soft to heavy. Half Sister to Laboursofhercules. Acts best on a right handed course. Dual Purpose horse. Has run 6 times on the flat, 2 times on the all weather and 3 times over hurdles, from 7 to 16 furlongs, acts on any going, has won on yielding and good to firm. Acts best on a right handed course. Dual Purpose horse. Has run 7 times on the flat, 6 times on the all weather and 3 times over hurdles, from 7 to 16 furlongs. Acts on most types of ground, has yet to encounter good to firm. He has won on standard and heavy ground. Acts on right and left handed courses. Dual Purpose horse. Has run 6 times in a National Hunt Flat race and 9 times over hurdles and 1 time on the all weather. From 12 to 19.5 furlongs. She has won races on good to yielding and yielding. Acts best with cut in the ground. Acts best on a right handed course. Dual Purpose horse. Has run 8 times on the flat and 7 times on the all weather 1 time over hurdles, from 7 to 16 furlongs, acts on any going. Has won on soft and good to firm ground. Acts on right and left handed courses. Dual Purpose. Has run 1 time on the flat, 5 times on the all weather, 13 times over hurdles and 3 PtP, from 8 to 24 furlongs. Acts on any going, acts on right and left handed courses, is still a Maiden. Dual purpose. on good and standard ground. Has won on the all waether. Acts on a right and left handed course. Dual purpose. Has run 17 times on the flat, 15 times on the all weather and 1 time over hurdles, from 5 to 19.5 furlongs. acts on all types of going. Has won on standard, yielding and good to firm. acts on right and left handed courses.Dual purpose. Half brother to race winner Precious Cargo. Kapgarde x Niagria Du Bois. King's Theatre x Pomme Tiepy. 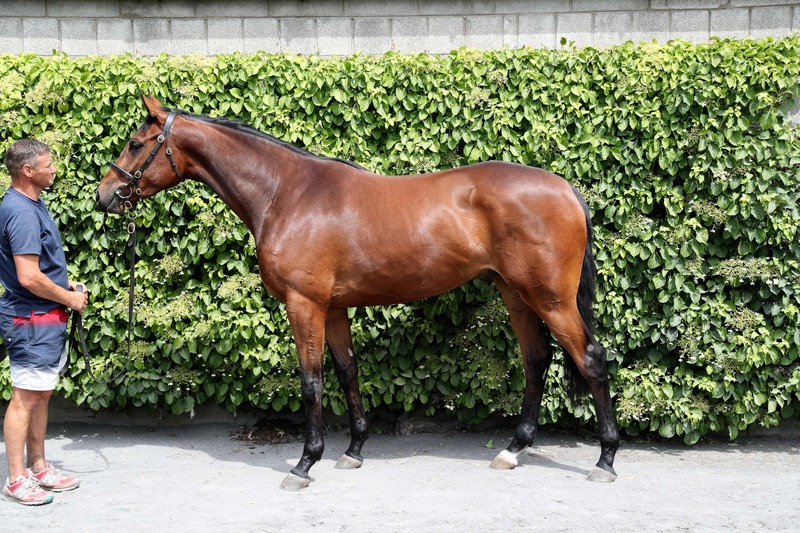 Full brother to 6 time race winner Jolly Gene, 4 time race winner Ballyglasheen and race winner Impulsive Moment. Half brother to two time race winner Gallahers Cross and race winner Call Of The Loon. 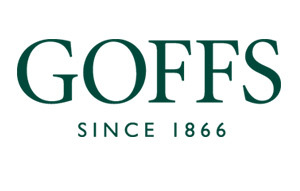 Has run 3 times in a National Hunt Flat race and 3 times over hurdles from 16 to 21 furlongs in soft to heavy, good to firm and yielding to soft and soft. Has won on good and yielding ground. On a right and left handed course. Has run 1 time in a National Hunt Flat race and 1 time over hurdles from 16 to 20 furlongs on soft and heavy ground. On a right and left handed course. She is still a Maiden. Has run 2 times in a National Hunt Flat race and 8 times over hurdles and 4 times in a chase, from 16 to 20 furlongs, acts on any surface. A winner on soft, yielding and good ground. Acts on right and left handed courses. Ancient Empire - 1st Jan 2012 Bay Gelding. Has run 1 time in a National Hunt Flat race and 7 times over hurdles from 16 to 24 furlongs acts on all ground. Acts best on a right handed course. He is still a Maiden. Has run three times in National Hunt Flat races and 7 times over hurdles and 10 times chases from 16 to 28 furlongs, acts on any going with cut in it. Has won on good to yielding and heavy ground. Acts on right and left handed courses. Has run three times in National Hunt Flat races, and 6 times over hurdles and 6 chases, from 16 to 20 furlongs, acts on any going. Has won in the soft, good and on yielding. Acts best on a left handed course. Has run 3 times on the flat and 6 times over hurdles and 2 times over fences from 7 to 23 furlongs has run on most types of going except for good to firm. Has won on soft to heavy. Has run 1 time in a National Hunt Flat race and 1 time over hurdles from 16 to 19 furlongs on good and firm ground. Has only run on a right handed course. Has run 4 times in a National Hunt Flat race and 1 time over hurdles from 16 to 17 furlongs on good ground and yielding to soft on right and left handed courses. He is still a Maiden. Has run 2 times on the flat and 5 times over hurdles, from 10 to 16 furlongs on yielding and good to firm ground. Has won on yielding ground. A dark horse one to follow. Has only run on right handed courses. Has run 3 times in a P2P, 2 times over hurdles and 1 time in a National Hunt Flat race from 20 to 24 furlongs has won at Ballingarry has run on a right handed courses. Has ran 1 time on the flat and 3 times over hurdles from 6 to 16 furlongs, in heavy, soft and yielding to soft over right and left handed courses. He is still a Maiden. Has run 1 time in a National Hunt Flat race over 16.5 furlongs in yielding to soft on a right handed course. Has won on yielding to soft ground. Has run 8 times in a National Hunt Flat Race from 16 to 17 furlongs on good to yielding, soft and heavy ground. Acts on a right and left handed track. Has won on good ground. Has run 1 time in a P2P and 1 time in a National Hunt Flat Race from 16 to 24 furlongs in good to yielding ground on a left handed course. He's still a Maiden. Has run 2 times in a National Hunt Flat Race and 8 times over hurdles from 18 to 20 furlongs on heavy soft and good to yielding ground. Has only raced on a right handed courses. Has won on good to yielding. Has run 2 times in a National Hunt Flat race and 3 times over hurdles from 16 to 16.5 furlongs on soft, soft to heavy, heavy and good to yielding ground. He has won on soft to heavy,soft and heavy ground. Acts on a right and left handed course. Has run 1 time in a National Hunt Flat race, 2 times over hurdles, 2 times in a PTP and 8 chases. from 17 to 32 furlongs, acts on all surfaces except for good or good to firm which he hasn't tried yet. Has won on heavy ground and soft to heavy. One to watch. Acts best on a left handed course. Has run 3 times in National Hunt Flat races and 6 times over hurdles and 4 chases from 16 to 24 furlongs, acts on any going although has yet to race on good to firm. His wins have been on good to yielding and yielding, an exciting prospect. Acts best on a right handed course. Has run 1 time in a P2P and 5 times over hurdles from 16.5 to 24 furlongs in all types of going on a right handed course. Has won on good ground. Has run 2 times on the flat and 9 times over hurdles, from 11 to 16 furlongs on all surfaces, his wins have come on good to yielding ground. Nice prospect one to follow. Acts best on a left handed course. Has run 8 times on the flat, 1 time on the all weather and 6 times over hurdles from 9 to 16.5 furlongs, acts on all going. Has won on standard, good and good to firm ground. Acts on right and left handed courses. Has run 6 times on the flat and 6 times over hurdles from 7 to 24 furlongs, acts on most going, acts on a right or left handed course. Has won on good and good to firm ground. Has run 4 times in a National Hunt Flat race and 1 time over hurdles, from 16 to 20 furlongs, He is still a Maiden. Acts best on soft or yielding. One to watch. Acts in right and left handed courses. Has run 3 times on the flat and 13 times over hurdles, from 9 to 20 furlongs, acts on any going. Has won on good, good to firm and heavy. This will be a hard season for him, his first out of novice company. Write him off at your peril. Acts best on a left handed course. Has run 2 times in a National hunt flat race, 3 times over hurdles and 1 P2P from 16 -24 furlongs on good and soft ground. Has only run on a right handed course. He is still a Maiden. Has run 12 times over hurdles and 19 times over fences, from 16 to 26.5 furlongs, all his best efforts are with cut in the ground. He has won on yielding. Acts best on a right handed course. Has run 6 times in a National Hunt Flat race, 4 times over hurdles and 20 times over fences, from 16 to 28 furlongs, he has won on good ground. Acts best on a right handed course. Has run 10 times on the flat and 7 times over hurdles and 4 chases from 8 to 20 furlongs, acts on any going except for heavy, although he has yet to experience good to firm. Has won with cut in the ground. Acts best on a right handed course. 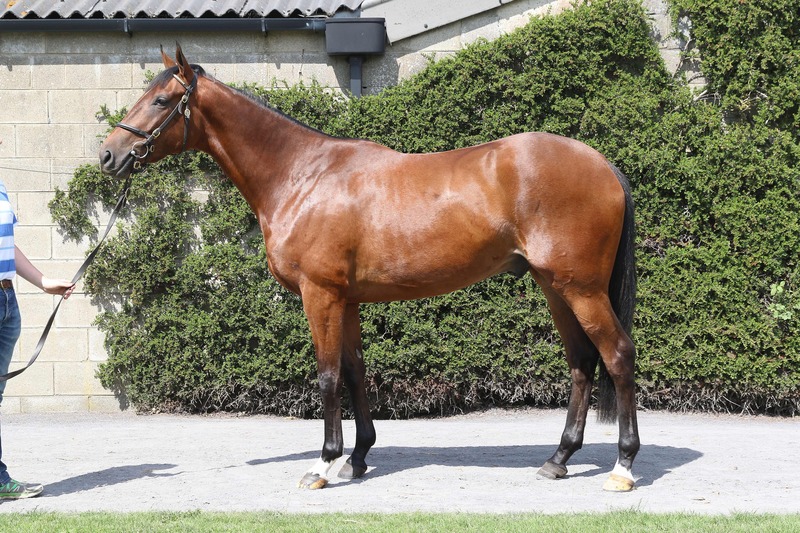 Dam's first foal, was bought by Joseph at Goffs Ireland Land Rover Sale for € 34,000. Has run 2 times in a National Hunt Flat Race and 4 times over hurdles from 16 to 17 furlongs on good and soft Ground. Acts best on left handed courses. Has won on good and yielding ground. Has run 2 times in a National Hunt Flat race and 16 times over hurdles, from 16 to 25 furlongs, Has won on soft, soft to heavy and yielding ground. Acts on right and left handed courses. Has run 1 time over 16 furlongs in soft ground on a right handed course. He's still a Maiden. Has run 3 times in a National Hunt Flat race from 16 to 17 furlongs on good ground on a right handed courses. He has won on good ground. Has run 22 times on the flat, 1 time on the all weather, 10 times over hurdles and 10 times in chases, from 10 to 25 furlongs, acts on any going. Has won on all types of going. Acts on a right and left handed course. Has run 1 time in a P2P, 2 times over hurdles and 8 times in chases from 16 to 24 furlongs, has only run with cut in the ground acts on right and left handed courses. Has won in heavy and soft to heavy ground. Has run 4 times on the flat and 5 times over hurdles from 7 to 17 furlongs. Acts best on good or good to firm. He has won on good and good to firm ground. Acts best on a right handed course. Has run 4 times in a National Hunt Flat race and 7 times hurdles from 16 to 22 furlongs on all types of ground. On a right and left handed course. He has won on good ground. Has had 1 race in a Point to Point over 24 furlongs in soft going. Has run 1 time in a National Hunt flat race and 1 time over hurdles over 16 furlongs in soft to heavy and soft ground on a right handed course. He has won on soft ground. Has run 3 times in National Hunt Flat races and 7 times over hurdles and 2 times chase, from 16 to 24 furlongs. Acts best on good ground, has won races on good ground. Acts best on a left handed course. Has run 3 times on the flat, 1 time on the all weather and 6 times over hurdles, from 10 to 20 furlongs, acts on all going, won on good and standard going. Acts on a right and left handed course. Has run 1 time over hurdles and 1 time in a National Hunt Flat race over 16 furlongs in heavy ground on a right and left handed course. He is still a Maiden. Has run 9 times over hurdles from 10 to 21.5 furlongs in good and heavy ground acts on a right and left handed course. Has won on soft, soft to heavy & good to yielding ground. Has run 12 times on the flat, 41 times over hurdles and 1 time in a chase, from 10 to 24 furlongs. Acts on any going, Has won on good to yielding, good, yielding and soft ground. He is Joseph's iron horse. Acts on a right and left handed course. Has run 1 time in a National Hunt Flat race over 16 furlongs in soft to heavy ground on a right handed track she is still a Maiden. Has run 2 times in a National Hunt Flat race over 16 furlongs in heavy, soft to heavy ground on a right handed track. He is still a Maiden. Has run 2 times in a National Hunt Flat race over 16 furlongs in heavy and soft to heavy on a right handed course. He has won on heavy ground. Has run 1 time in a National Hunt Flat race and 3 times over hurdles from 16 to 20 furlongs in yielding to soft and soft going. Has won on soft going. Acts on right handed courses. Has run ran 3 times on the flat, 6 times over hurdles and 10 chases, from 8 to 22.5 furlongs. Acts with cut in the ground. Has won on soft and yielding to soft ground. Acts on a right and left handed course. Has run 1 time in P2P and 1 time over hurdles from 16 to 24 furlongs in soft ground. Acts on a left handed course. He has won on soft ground. Has run 3 times over hurdles over 16 furlongs in heavy ground on a right handed course. He is still a Maiden. Has run 5 times on the flat and 7 times over hurdles from 7 to 20 furlongs. Acts on any ground. Has won on good and good to yielding ground. Acts best on a left handed track. Has run 8 times on the flat and 5 times over hurdles, from 8 to 20.5 furlongs, acts best with cut in the ground. Has won on heavy, yielding and good to soft. Acts on a right handed course. Has run 5 times in National Hunt Flat races and 4 times over hurdles, and 7 times chase from 16 to 24 furlongs, has ran on all types of going. Has won on good, soft, good to firm and yielding. Acts best on a left handed course. Has run 1 time in a National Hunt Flat race over 16.5 furlongs on soft ground on a right handed course. He is a winner on soft ground. Has run 9 times on the Flat and 5 times over hurdles, from 8 to 20 furlongs, has won on yielding to soft and good to firm. Acts on right and left handed courses. Has run 2 times in a National Hunt Flat race and 1 time over hurdles from 16 to 20.5 furlongs on good to yielding. Has won on good to yielding on a right handed course. Has run 4 times on the flat and 5 times over hurdles from 10 to 22 furlongs, has ran on all types of going except heavy. Acts on a right and left handed course. Has won on good to yielding ground. Has run 4 times on the flat and 7 times over hurdles from 9 to 16 furlongs, has run on good,yielding and soft to heavy going. Has won on good ground. Acts best on a right handed course. Has run 2 times on the flat, 1 time on the all weather and 1 time over hurdles, from 10.5 to 20 furlongs. He has ran on standard, yielding, good to firm and soft to heavy. He has won on yielding and good to firm. Has run 3 times in a National Hunt Flat race and 1 time over hurdles over 16 furlongs on good to yielding ground on a right and left handed course. Has won on good ground. Has run 1 time in a National Hunt Flat race over 16 furlongs in yielding ground ona right handed coures. He is still a Maiden. Has run 4 times on the flat, and 6 times over hurdles from from 7 to 20 furlongs, acts best on good to firm. has won on good to firm. Acts on a right and left handed course. Has run 3 times in a National Hunt Flat race and 2 times over hurdles over 16 furlongs in heavy, yielding and good to yielding ground on right or left handed courses. He has won on soft to heavy and heavy. Has run 5 times in a National Hunt Flat race, 13 times over hurdles and 24 chases from 12 to 30 furlongs, he acts best with cut in the ground and acts best on a left handed course. He has won on very soft in France. Has run 2 times in P2P's and 5 times over hurdles from 16 to 24 furlongs. Acts with cut in the ground. Has won on good and soft ground. Acts on right and left handed courses. Has run 1 time in a National Hunt Flat race, 2 P2P's, 110 times over hurdles and 11 chases, from 16 to 25.5 furlongs,acts best with cut in the ground, has won on heavy and yielding to soft. Acts on right and left handed courses. Aeglos - 5th July 2012 Bay Gelding . Has run 3 times in a National Hunt Flat race and 1 time over hurdles over 16 furlongs in good to firm and yielding to soft and soft. Has only run on a right handed course. Has run twice in a National Hunt Flat race and 7 times over hurdles, from 16 to 17 furlongs, acts on any surface. A winner on soft, yielding and good ground. Acts on right and left handed courses. Has run 1 time in a National Hunt Flat race and 1 time over hurdles over 16 furlongs in heavy ground over a right handed course. He is still a Maiden. Has run three times in National Hunt Flat races and 6 times over hurdles and 4 chases from 16 to 25.5 furlongs, acts on any going with cut in it. Has won on heavy ground. Acts on right and left handed courses. Has run three times in National Hunt Flat races, and 5 times over hurdles, from 16 to 20 furlongs, acts on any going. Has won in the soft and on yielding. Acts best on a left handed course. Has run 3 times on the flat and 3 times over hurdles from 7 to 16 furlongs has run on most types of going except for heavy and good to firm. Has won on soft to heavy. Has run only once over 16 furlongs in good ground in National Hunt Flat race. Sure to improve, one for the future. Has only run on a right handed course. Has run 1 time on the flat and 1 time over hurdles from 10 furlongs -16 furlongs in heavy ground . He has won on heavy ground, with just the 2 runs he could be anything one to watch. Has run 2 times on the flat and 1 time over hurdles, from 10 to 16 furlongs on yielding and good to firm ground. Has won on yielding ground. A dark horse one to follow. Has only run on right handed courses. Has run 2 times in a National Hunt Flat Race, 6 times over hurdles and 13 times over fences, from 16 to 25 furlongs, has won races on the soft and races on good ground. Acts best on a right handed course. Has run 8 times on the flat and 7 times over jumps, has ran over a variety of distances from 12 to 24 furlongs, his wins have come on yielding or heavy ground, open to improvement. Acts on right and left handed courses. Has run 5 times on the flat and 1 time on the all weather, from 7 to 12 furlongs, acts on most types of going has yet to encounter good to firm. Has won on good to yielding ground. Acts on right and left handed courses. Has run 2 times in a National Hunt Flat Race over 16 furlongs on soft ground. On a left handed track he is still a Maiden. Has run 1 time in a National Hunt Flat Race over 18 furlongs on soft ground. She is still a Maiden. Has only raced on a right handed course. Has run 1 time on the flat, 7 times in National Hunt Flat races, 15 times over hurdles and 2 times over fences. Has ran over a variety of distances from 14 to 20 furlongs, acts on all surfaces. His wins have been on good ground. Acts on right or left handed courses. Has run 1 time in a National Hunt Flat race, 2 times over hurdles, 2 times in a PTP and 5 chases. from 17 to 25.5 furlongs, acts on all surfaces except for good or good to firm which he hasn't tried yet. One to watch. Acts best on a left handed course. Has run 3 times in National Hunt Flat races and 6 times over hurdles from 16 to 24 furlongs, acts on any going although has yet to race on good to firm. His wins have been on good to yielding and yielding, an exciting prospect. Acts best on a right handed course. Has run 9 times on the flat and 1 time over hurdles , from 10 to 18 furlongs, acts on any type of going, has won on yielding ground. Acts best on right handed courses. Has run only once in a 20 furlong race in heavy ground in a National Hunt Flat race. Showed promise on that debut. Acts on a left handed course. Has run 2 times on the flat and 4 times over hurdles, from 11 to 16 furlongs on all surfaces, his wins have come on good to yielding ground. Nice prospect one to follow. Acts best on a left handed course. Has run 8 times on the flat, 1 time on the all weather and 2 times over hurdles from 9 to 16 furlongs, acts on all going. Has won on standard and good to firm ground. Acts on right and left handed courses. Has run 4 times in a National Hunt Flat Race and 1 time over hurdles from 16 to 18 furlongs on good to yielding ground. Still a Maiden. Has only ever run on a right handed course. Has run 6 times on the flat, from 7 to 13 furlongs, acts on all going. Has won on good to firm ground. Acts beston a right handed course. Has run 3 times on the flat and 10 times over hurdles, from 9 to 20 furlongs, acts on any going. Has won on good, good to firm and heavy. This will be a hard season for him, his first out of novice company. Write him off at your peril. Acts best on a left handed course. Has had 2 runs 1 over hurdles and 1 P2P over 16 furlongs on good ground. one to watch. Has only run on a right handed course. Has run 12 times over hurdles and 16 times over fences, from 16 to 26.5 furlongs, all his best efforts are with cut in the ground. He has won on yielding. Acts best on a right handed course. Has run 2 times in a National Hunt Flat race, 4 times over hurdles and 4 times over fences, from 16 to 23 furlongs, acts on most types of going, has never encountered good to firm. His wins have come on good ground. He was a better hurdler than he is proving to be over fences. Acts best on a right handed course. Has run 10 times on the flat and 4 times over hurdles from 8 to 16 furlongs, acts on any going except for heavy, although he has yet to experience good to firm. He is an exciting prospect to Joseph's jumpers one sure to compete in all the top juvenile hurdle events. Acts best on a right handed course. Has run 2 times in a National Hunt Flat Race over 16 furlongs in the soft on a left handed course. He is still a Maiden. Has run 2 times in a National Hunt Flat race and 6 times over hurdles, from 16 to 24 furlongs, He is still a Maiden. His best efforts have come on good ground. Acts on right and left handed courses. Has run 4 times in a National Hunt Flat races from 16 to 20 furlongs, acts on good, good to yielding and heavy. Has won on good to yielding exciting hurdling prospect. Acts on right and left handed courses. Has run 3 times on the flat, 2 times on the all weather and 7 times over hurdles from 8 to 20.5 furlongs, acts on any going. Has won on standard and good ground. Acts on right and left handed courses. Has run 8 times on the flat, 1 time on the all weather and 7 times over hurdles, from 6 to 16.5 furlongs, acts best with cut in the ground. Has won on soft and yielding ground. Acts best on a right handed course. Has run 1 time in a National Hunt Flat race, 5 times over hurdles and 5 times PTP, from 16 to 24 furlongs, acts on any going but has yet to encounter good to firm, His wins have come on good ground and soft ground. One to follow. Acts best on a left handed course. Has run 5 times in National Hunt Flat races, 5 times over hurdles and 1 time over jumps, from 16 to 20 furlongs. He has raced on all types of going except for good to firm, his wins have been on good, good to yielding an yielding ground. Acts on a right and left handed course. Has run 22 times on the flat, 1 time on the all weather, 10 times over hurdles and 4 times over jumps, from 10 to 24 furlongs, acts on any going. Has won on all types of going. Acts on a right and left handed course. Has run 2 times in National Hunt Flat races and 1 time over hurdles, from 16 to 19.5 furlongs. Best form on yielding ground. Still a Maiden. one to watch. Has only run on a right handed course. Has run 3 times in National Hunt Flat races and in 1 PTP, from 16 to 24 furlongs. Acts on good and good to firm, has yet to experience other types of going. Acts best on a right handed course. Still a Maiden. Has run 5 times on the flat, 5 times on the all weather and 11 times over hurdles, from 7 to 21.5 furlongs. Acts best with cut in the ground, has won races in good and yielding to soft ground. Acts on a right and left handed course. Has run 3 times in National Hunt Flat races and 5 times over hurdles, from 16 to 24 furlongs. Acts best on good ground, has won races on good ground. One to follow. Acts best on a left handed course. Has run 5 times over hurdles, from 16.5 to 20 furlongs, has ran on all types of going except good to firm, has won on good ground. Has only run on a right handed course. Has run 3 times on the flat, 1 time on the all weather and 2 times over hurdles, from 10 to 16 furlongs, acts on all going, won on good and standard going. Dark horse exciting prospect one to follow. Acts on a right and left handed course. Has run 12 times on the flat, 34 times over hurdles and 1 time over jumps, from 10 to 22 furlongs. Acts on any going, Has won on good to yielding, good, yielding and soft ground. He is Joseph's iron horse. Acts on a right and left handed course. Has run 2 times in National Hunt Flat races and 1 time over hurdles, from 16 to 20 furlongs, has ran on good and yielding ground her best effort has come on yielding ground. Still a Maiden. could be anything in Mare's races. Acts best on a right handed course. Has run 5 times in National Hunt Flat races and 7 times over hurdles from 16 to 21 furlongs. Acts best on good ground. Has won on good ground. Acts best on a right handed course. Has run ran 3 times on the flat, 6 times over hurdles and 3 chases, from 8 to 20 furlongs. Acts with cut in the ground. Has won on soft and yielding to soft ground. Acts on a right and left handed course. Has run 2 times on the flat, 2 times on the all weather, 3 times in National Hunt Flat races, 15 times over hurdles and 9 times over fences, from 12 to 24 furlongs. Acts on any going, has won all types of ground except for heavy. Acts on a right and left handed course. Has run 7 times in PtP's and 6 times in National Hunt Flat races 3 times over hurdles, from 16 to 24 furlongs. Acts on all surfaces but has yet to encounter good to firm, has won on the soft. Acts best on a right handed course. Has run 5 times on the flat and 2 times over hurdles from 7 to 16 furlongs. Acts on any ground. Has won on good to yielding ground. Acts best on a left handed track. Has run 8 times on the flat and 2 times over hurdles, from 8 to 16 furlongs, acts best with cut in the ground. Has won on heavy, yielding and good to soft. One I will be keeping an eye on and following. Acts on a right handed course. Has run 9 times on the flat from 8 to 12 furlongs, acts on any going. Has won on soft and good to firm. Has the bookies running for cover and hasn't jumped a twig yet in public. Acts on a right and left handed course. Has had 1 run in a National Hunt Flat Race and 1 run over hurdles from 13.5 to 16 furlongs. He has won on good ground. Has only run on a right handed course. Has run 5 times on the flat and 9 times over hurdles, has ran on all types of going except for good to firm. He has won on good and also on yielding ground. Acts on a right and left handed course. Has run 5 times in National Hunt Flat races and 4 times over hurdles, from 16 to 17 furlongs, has ran on all types of going. Has won on good, good to firm and yielding. Acts best on a left handed course. Has run 4 times on the flat and 2 times over hurdles from 9 to 16 furlongs, has run on good,yielding and soft to heavy going. Has won on good ground. Acts best on a right handed course. Has run twice on the flat and 1 time on the all weather, from 10 to 12 furlongs, acts best on good to firm or yielding. Has won on yielding and good to firm ground. Acts on a right and left handed course. Has run 4 times on the flat, from 7 to 14 furlongs, acts best on good to firm. has won on good to firm. Acts on a right and left handed course. Has run 3 times in National Hunt Flat races and 2 times in PTP and 4 times over hurdles, from 16 to 24 furlongs. Acts on most types of going. Has won on heavy going. An exciting prospect one to follow. Acts best on a right handed course. Has run 16 times on the flat, 7 times on the all weather and 6 times over hurdles from 8 to 16 furlongs, acts on an going. Won on good, standard and good to firm ground. Acts best on a left handed course. Has run 2 times in a National Hunt Flat race from 16 - 19 furlongs on soft and heavy ground over a right handed course, Has won on heavy ground. Has run 4 times in National Hunt Flat races, 4 times over hurdles and 1 time over jumps, from 16 to 18 furlongs, acts with cut in the ground. Has won on soft and on heavy. Acts on a right and left handed course. Has run twice in PTP's on soft and heavy over 24f. Has won on soft. Acts on right and left handed courses. Has run 1 time in a National Hunt Flat race on yielding ground over 16 furlongs. Has only run on a right handed course. Has ran 11 times on the flat, 3 times on the all weather and 11 times over hurdles, from 7 to 16.5 furlongs, acts best on good or soft ground. Has won on good ground. Has had a lot of racing for a 3 year old but seems to thrive on it. Acts best on a right handed course. Ran 7 times winning 1 and placing 2 times. From the family of Group 1 winner & champion miler Kingman. 30) Lot 1029 04.05.17 Bay Colt Camelot x Daganya. Dam's first foal. From the family of Multiple Classic winner Attraction and the family of Multiple Classic winner and 9 times champion sire Galileo. Dam of 3 winners from 4 runners and 5 foals of racing age. From the family of Champion 2 year old Filly and Multiple group 1 winner Ma Biche. Dam of 2 foals of racing age. From the family of Multiple Group 1 winner Green Tune. Dam of 6 previous foals, 6 runners, 2 winners. From the family of Multiple Group 1 winner Sonic Lady and Ex Ballydoyle inmate Kingfisher. From the family of Multiple Group 1 winner Giant's Causeway & Multiple Classic winner Gleneagles. dam of 8 previous foals; 4 runners; 4 winners. He is a half brother to 4 time race winner Attest. He is from the family of Multiple Group 1 winner Time Charter. Dam of 9 foals; 4 runners, 1 winner.